URGENT!!! YOUR help is needed. 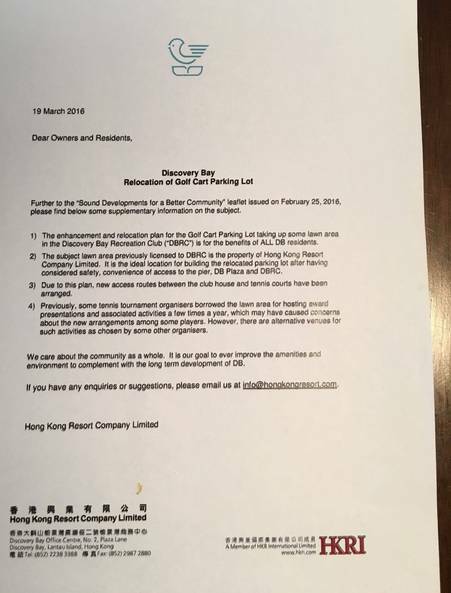 Hong Kong Resorts’ updated proposal for building a golf cart park on the DBRC Lawn is again just days away from starting. While the recognition by HKR that the Lawn is a valued area of the Club’s amenity is appreciated, as evidenced by their revised proposal retaining a small portion, the change is just not big enough to make a significant difference. The ability of DBRC members to stage any kind of meaningful outdoor activity is severely curtailed. As you can read from point 2 in HKR's attached letter, this relocated golf cart park is ideal for access to Pier, plaza and DBRC. It's also clear from HKR plans that this 90 cart parking station is the only parking station in the DB Plaza area. HKR is now claiming that this parking area is ancillary to the club, but has not provided clarity as to whether it will be limited to financial club members only. Additionally, ancillary parking at Siena Club has only 16 cart parks and DB Marina Club has 24 parks! Is there really a need for 90 golf cart parks at DBRC? Further, HKR states that the new parking space on the Lawn is a benefit to ALL 20,000 DB residents (point 1). Given that there are only around 500 golf carts in DB, this assertion is mathematically quite perplexing to say the least. Worse though is that HKR presumes to speak on your behalf with this statement. Are you content to allow HKR to speak on your behalf? Finally the green lawn at DBRC is officially zoned for recreational use. In future, there may be other open green spaces (kids’ favorite playground or hiking trails) that HKR will unilaterally “take back”. Don’t let this happen!! Let the green lawn at DBRC become a symbol of what DB life is all about: open and green living space, a safe environment for you and your children and a great place to socialise with friends. If you oppose this golf cart redevelopment at DBRC, please sign this petition immediately, and I will ensure it is delivered to the right people at HKR.  If you could indicate whether you are a current DBRC member, that would also be helpful. DBRC Club Member and one of many tennis organisers who "borrows" the lawn on a daily basis (point 4)!! Some useful links, click on the below to view HKR Notices posted in DBRC last week. Link to DBRC Notice of Revised Plan, 25 April 2016 - posted in Club, did you see it?